Lawn Service is important to homeowners. A homeowner’s lawn and garden is an extension of the home. It’s a place where children play, burgers are grilled, and memories made. Whether you want to keep it simple or elaborate, it’s imperative that both lawns and gardens are planted correctly and maintained accordingly. At Hambleton Services, we offer a large variety of plants and services. We collaborate with our clients to find the appropriate assortment of plants and the appropriate maintenance plan to create the lawn and garden you’ve always envisioned. The plants originally landscaped in your yard may not be the right variety for the sunlight or soil quality of the space. When landscaping is not properly fertilized, the plants may stunt in growth or acquire a disease. If you’re unsure whether the plants in your lawn or garden are compatible with your yard, our team will perform a free assessment. Once the assessment is complete, we will determine which plants should remain and which ones should be replaced. Some of your plants may merely need to be moved. We’ll try our best to keep the plants you love or hope to keep. Additionally, even if the plants do work with the sun and soil, you may desire something else aesthetically. If you’ve envisioned a different look for your lawn and garden, we can help design an outdoor space that will meet your vision. 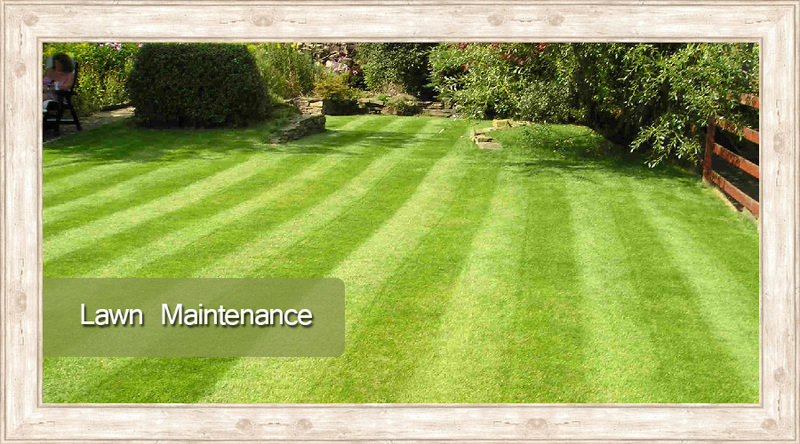 To ensure your lawn and garden sustains appeal and beauty year-round, we perform the following services. At Hambleton Services, our mission is to make our customers happy. We work in collaboration with homeowners to create an outdoor space that not only increases the curb appeal of your home but also enhances the quality of your life.